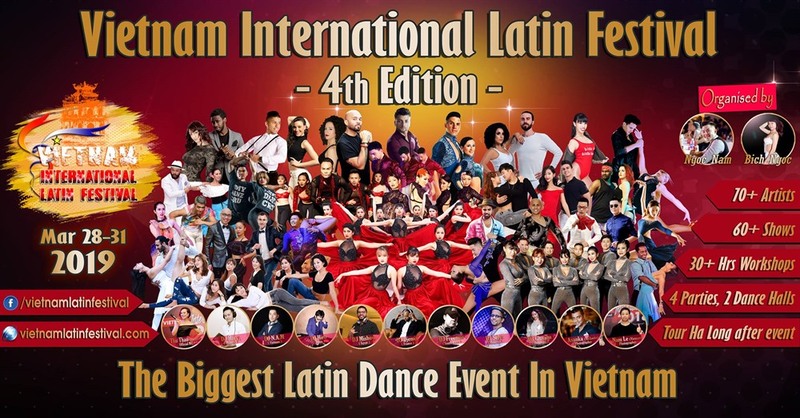 The 4th Vietnam International Latin Festival is Việt Nam’s biggest Latin dance event. HÀ NỘI — An international festival dedicated to Latin dances will begin today and last until March 31. Taking place at the VCCI Tower, 9 Đào Duy Anh Street, Đống Đa District, the 4th Việt Nam International Latin Festival will gather more than 70 dancers from 30 countries and territories including France, Italy, Spain, Argentina, Mexico, Russia, Singapore, Japan, South Korea, Germany, India, and Colombia. Every night, a line-up of DJs from France, Egypt, South Korea, Japan, Malaysia, Hong Kong and Việt Nam will turn the dance halls into amazing parties.